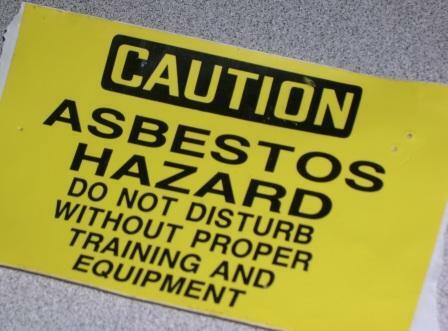 NEW ORLEANS – A number of companies are being sued by a former shipyard worker who claims he was unknowingly exposed to asbestos which later resulted in his contraction of lung cancer. Otis W. Burmaster filed suit against Avondale Industries, Northop Grumman Ship Sytems Inc., Huntington Ingalls Inc., Onebeacon America Insurance Company, Albert Bossier, J.D. Roberts, Bayercropscinece Inc., Crane Co., CBS Corporation, Eagle Inc., Foster Wheeler Energy Company, Hopeman Brohters Inc., International Paper Company, McCarty Corporation, Owens Illinois Inc., Reilly-Benton Company Inc., Riley Power Inc., Taylor-Seidenbach Inc., Union Carbide Corporation, Uniroyal Inc., Crosby Valve Inc., FMC Corporation, Goulds Pumps Inc., Ingersoll Rand Company, Warren Pumps LLC, Liberty Mutual Insurance Company and Maryland Casualty Company in the Orleans Parish Civil District Court on Sept. 15. Burmaster alleges that he was exposed to asbestos materials during his time of employment with Avondale Industries at their shipyard in Westwego where he worked on Coast Guard cutter ships from 1965 to 1971. The plaintiff contends he inhaled asbestos fibers while handling asbestos insulation and other asbestos containing products designed, manufactured, sol and supplied by the defendants. Burmaster asserts that exposure has resulted in his contraction of lung cancer. The defendants are accused of withholding information about the dangers of asbestos, failing to provide a safe place to work, failing to provide industrial hygiene measures, failing to provide proper safety equipment, omitting critical medical and safety information about the safety and health risks associated with asbestos exposure, failing to timely remove asbestos hazards from the workplace, failing to properly supervise and monitor work areas and failing to provide a safe and suitable means of eliminating asbestos dust in the air. An unspecified amount in damages is sought for physical pain and suffering, mental anguish, medical expenses, rehabilitation and loss of earnings. Burmaster is represented by Mickey P. Landry of New Orleans-based Landry& Swarr LLC.